Just got a 2016 Berlingo M Space XTR BlueHDi yesterday and I’m getting an error on the touchscreen when I plug my iPhone into the USB. I can play music OK, but I’m not able to answer or make calls. 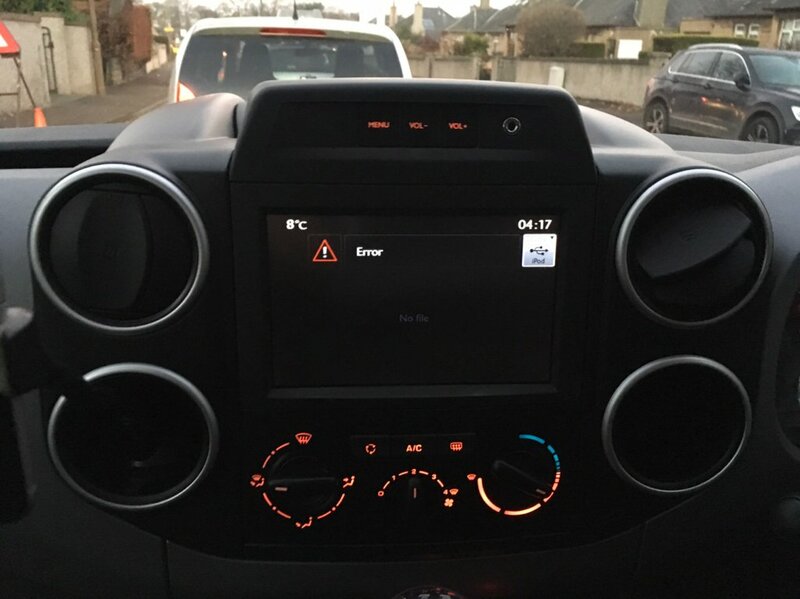 I have done a bit of reading on here and via google, and from what I can gather there might be an update that can be done to enable Apple CarPlay and hopefully sort out the error. Is it possible to do a firmware update to the touchscreen system myself, or will I have to take it to a Citroen dealer/specialist? I suspect it’s a dealer update. Yeah, it looks that way...I think cos it’s not the satnav version I’ll have to take it to a dealer.